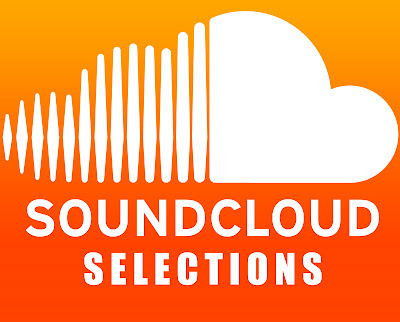 Time to start off a new(ish) feature, where I'm going to post up my favourite tracks from using SoundCloud. These are tracks that I've posted on our Facebook/Twitter, but have not had the time to make an individual post for them on the blog. There's an awesome community within SoundCloud, so this is a great way to share my favourites. I've tried to do this before, with the 'Random Selections' little feature, but I never kept it up. Before I tried to keep it to one large post a month and now I'm just going to post up whenever I can. Much easier. These are tracks that I've listened to because I follow the artists, been sent by others or have just stumbled on them using SoundCloud. Bondax are fantastic. Not sure how many times I will say this. This is a track that I didn't manage to feature already, but have been streaming from their soundcloud since it was uploaded. They really know how to manipulate and use samples to great effect. Love the way that this one progresses, adding layers that make the track interesting. There's always something going on in each section, from the drum programming to the baselines and the top line melodies. This is the type of music that doesn't get boring to me and always has my brain ticking when listening. Dark Sky starts this one off dark, add pace and then run with it. Instantly pressed all the right buttons with me. All about the baselines with this one. This remix unites two of my favourite producers around at the moment. Great take on the original by Kidnap Kid, which is an absolutely beaut of a track. Another example of how great Kidnap Kid is. The sample usage, by Paleman, in this track is unbelievably good. It wasn't till I heard this in a mix and then another mix and then another mix, that I realise how much damage this track does. Stumbled on this after hearing another remix by Kid Smpl and was completely taken away by this. Exactly the polar-opposite to any other We Found Love remix that around on the net and that's saying something, because there's hundreds. This takes you away and it's like it's been produced in a dream. The remix tries to strip the original and excellently uses the vocal as a melody, which is a guilty pleasure of mine. So good. Available as free download from Kid Smpl's SoundCloud. Top notch production and warm synths brought together by Kozee for a completely addictive funky track. Found myself coming back to this now and again, as I couldn't get the groove out of my head. Available to purchase from BandCamp.